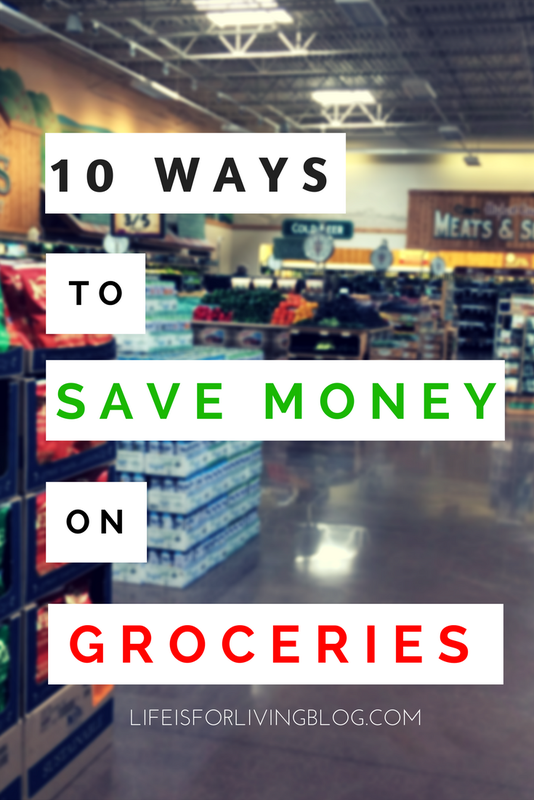 Like most people, the largest chunk of our cash budget each month goes to groceries. It's by far the biggest category. Since this tends to be our main money-spender, I thought I'd share some ways we've reduced our grocery expenses as we work toward our goal of debt freedom. 1. Buy everything you can at Aldi. Since we started buying the majority of our groceries at Aldi, we have literally slashed our money spent on groceries by half (Our grocery budget used to be $100/week. We recently cut it down to $70/week, but when we shop at Aldi, we only spend about $50 of that $70!). Aldi may have a negative reputation as the po' folks sto', but that's just not the case. Their prices are almost disturbingly inexpensive, but the stores themselves are clean and well-organized, and the company has been using green, sustainable innovations since before it was cool. 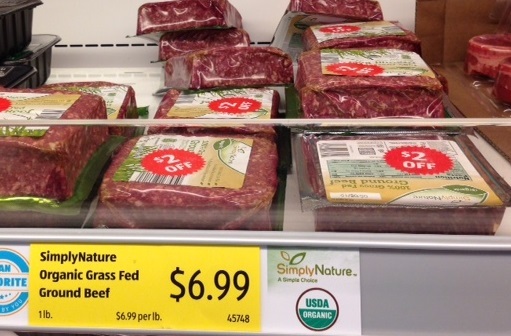 They also offer a plethora of USDA-certified organic and non-GMO products for a fraction of the cost at other stores, and they even offer things like grass-fed beef, which you can sometimes find marked way down when the expiration date is approaching. My only real complaint about Aldi is that nearly all their produce is shrink-wrapped, which makes for a lot of unnecessary waste. We recycle, but still, it seems that this could be avoided. 2. Bring your own bags. Most grocery stores and large retailers like Target offer bag discounts if you bring your own bag from home instead of using their plastic grocery sacks (Think about it; the store has to buy plastic bags from somewhere. You help them out when you bring your own, so they're trying to reward you for it. This is one reason why places with no bags, like Aldi and Sam's Club, have such reduced prices and great deals.). The bag discount is typically 5 to 10 cents off for each bag you use, and that can add up quickly if you're buying a lot! Pro tip: if you're an Aldi newbie, bringing your own bags is a must; Aldi does not provide bags. They scan your items at the checkout and put them back in your cart for you to box or bag yourself at the bagging station on the way out. They do have bags for sale, though, and I always see that one clueless person at the checkout who decides to pay 10 cents each for paper sacks. Don't be that person. Go prepared. 3. Shop the bulk bins. If you're not shopping at Aldi, I suggest perusing the bulk bins at places like Whole Foods, Sprouts, and Kroger. A large portion of grocery costs is product packaging. 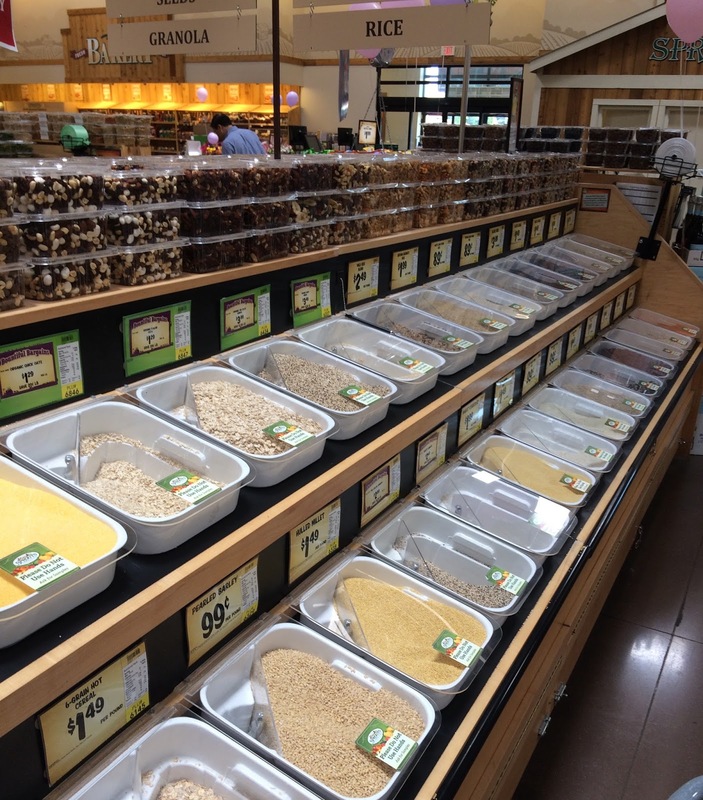 When you buy items from bulk bins, you aren't paying for that packaging. Plus, you can even bring in your own reusable containers, which helps reduce waste as well. This is a great area to shop for cheap staples like flour and rice. 4. Use cash-back apps like Ibotta. If you're not using Ibotta yet, you're missing out. It's a rebate app that gives you cash back for purchases you've already made. All you do is click some buttons, scan your receipts, and wait for the cash to come in. Just check out the screenshot above to see how much cash I've earned with this app! There's a growing variety of stores featured on Ibotta. To use the app, you find a store, search their available rebates, and click the little plus sign to load them to your account. Then, after you've purchased these items from the selected store, you're ready to upload an image of your receipt and wait for the cash. You'll get paid via Paypal, and you can withdraw after you've accumulated $10. A couple of things that make Ibotta especially great: 1) they have lots of rebates for expensive health food products, items that you typically don't get coupons for, and 2) unlike coupons, they're not all name-brand-exclusive. You'll see things like "25 cents off of a gallon of milk, any brand" and "25 cents off of bananas, any brand." Off-brand/store-brand items are included in this! You never see coupons for off-brand items or fresh produce, so this is pretty amazing. 5. Look for store-specific coupons. Whole Foods, for example, "hides" these coupon booklets at the ends of random aisles in their stores. You have to look for them, but they're there, and they contain great discounts on expensive organic health foods. 6. Use store apps and e-coupons that can be linked to your profile. For instance, if you shop at Kroger, you must get a Kroger card, download the free Kroger app, and link your card to the app. You have access to literally hundreds of e-coupons that you can, with a simple click, link directly to your card. When you check out at the store and scan your card, the coupons will be activated and you'll receive your discounts. No printing, clipping, organizing, or keeping up with coupons necessary! Whole Foods has a similar program, except there's not even a card to keep up with. You just open the app at checkout and the cashier scans the barcode at the top of the screen, which will deduct any discounts you're eligible for. These apps are free, and they give you special access to coupons and sales you wouldn't know about otherwise! 7. Make a meal plan and a corresponding grocery list- then stick to your list! 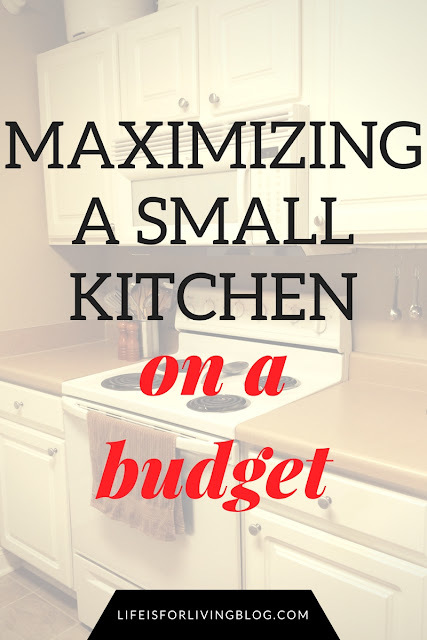 To read more about meal-planning, check out this post I wrote back in 2016. Although meal-planning does require time and effort, it's not nearly as complicated as it sounds. A quick Google search or a few minutes on Pinterest can easily give you a week's worth of meal ideas (My favorite recipe resource is Budget Bytes!). Once you've made a menu for the week, list all the ingredients you need to purchase to make your meals, list any staples you need to get through the week (such as milk or coffee), and use this list AND THIS LIST ALONE to buy your groceries. 8. Check weekly ads and plan your menu around store sales. When you're planning meals for the upcoming week, check the ads for your favorite stores and see what sales they have going on. The Kroger app features their weekly ads that you can click through effortlessly. In the screenshot above, the ad shows chicken drumsticks or thighs on sale for 77 cents per pound. So, to stretch my grocery budget, I might plan to buy these and have fried drumsticks for dinner one night this week. 9. Stockpile with any leftover grocery money. Let's say you budget $100/week for groceries and somehow end up only spending $70. Instead of taking that $30 to treat yourself, see what sales you can find and build a stockpile. What does it mean to "stockpile"? If you find organic grass-fed beef marked down crazy cheap like Aldi does sometimes, buy as much as you can and toss it in the freezer. You'll be able to shop your own freezer in the future, maybe at a time when your budget is tighter. We have a deep freezer for this purpose, and we like to do this mostly with marked down meats, breads, and fruits because they freeze perfectly. 10. Ditch pretentiousness and do what you need to do...if only for a while. This has been a huge part of our debt-free journey, especially in relation to groceries, so I think it needs to be mentioned here. In the Pre-Dave Ramsey Era, when Matt and I were dating, we each had good-paying jobs and free housing, him in a field house in Illinois and me in Alabama still living with my parents. 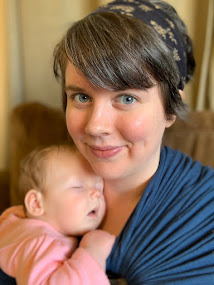 Oblivious to our mountains of debt, we spent whatever we wanted to make sure our groceries were entirely organic and free of genetically modified ingredients. We shopped at EarthFare, farmers markets, co-ops, and overpriced specialty health food stores. Sure, we were in the best shape of our lives, but we were broke. Fast forward to the present. We're fully aware of the severity of our debt, and because of this, we have given ourselves $70 a week in cash to spend on groceries. $70 will probably get you six items at EarthFare, so we've had to re-evaluate our priorities. We've certainly let our health slide because of this, and we need to put it back at the number one slot. It's easy to get too focused on paying off debt, to see a huge frozen pizza at Aldi for $4 and think of how much money we're saving if we eat that instead of something more wholesome. But. I remember how, in the beginning, we struggled going to Aldi. When you're used to shopping at fancy health food stores, walking into a cheap little market where all the produce is wrapped in plastic seems "beneath you." When it's been grass-fed, humanely-raised or nothing, the idea of perusing the meat counters at Walmart is appalling. When you're used to paying over $5 for a dozen of free-range organic eggs, finding a dozen for 28 cents at Aldi creates some serious inner turmoil. It's a difficult place to be when your values tell you, "Go to Whole Foods," and your wallet tells you, "Go to Walmart." This has been a serious struggle for us. We're continually trying to find a good balance, and right now, that means eating little to no meat. But passing up a dozen eggs for 28 cents? It's almost impossible when you have such limited income. So that's what I mean by temporarily ditching pretentiousness. I feel silly adding "temporarily" in there, but I hope that, one day, we'll be in a better position financially to pay for higher quality products. But for where I am right now, shopping at Aldi and buying shrink-wrapped bell peppers is what needs to be done. Have you tried any of the above tips? What advice can you share to help others make the most of their grocery money? Let me hear from you in the comments! We don't have Aldi (although there's talk of building one nearby), but I think it sounds similar to Smart n' Final (do you have those?). I LOVE that place because the prices are excellent and you can find the organic/non-GMO items at crazy low prices. I just bought two weeks' of groceries there last night for about $52. Heck yes! I'm going to download Ibotta - I've used it before but not consistently. Recently I've been trying to cut expenses so I can spend my money on things that are more important to me (travelling, and saving for a car), so I think I'll get better use out of the app now. I'll use the referral code! I think minimalism and frugalism being "in" has helped me feel less bad about shopping at Aldi. I still won't ever step foot in a Wal-Mart for ethical reasons, but we've been getting more and more at Aldi. I still only buy organic chicken and grass fed beef at Whole Foods and Wegmans, but we're eating vegetarian much more to minimize that expense. And Aldi has some great surprises! I've been picking up a bit of organic stuff there, too.